Should We Read the Iris Johansen Eve Duncan Series in Order? 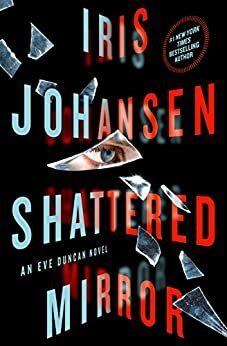 Iris Johansen is the author of the popular Eve Duncan series involving the tormented forensic sculptor who is still grieving the loss of her child, Bonnie, who was kidnapped and mercilessly killed. She also wrote the newer spin-off series called Catherine Ling, a shadowy CIA Operative raised in Hong Kong and the Kendra Michaels series. She has also written the Wind Dancer series and the Hannah Bryson, which includes only two books. Here is the list of Iris Johansen Eve Duncan series in order as well as the reading order of rest of the series she wrote, starting from The Face of Deception, where we are first introduced to Eve. If you haven’t read this series, you have quite a few great books ahead of you to read and enjoy. 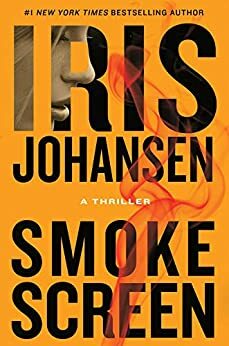 In fact, all the Iris Johansen books are well worth reading, because this author definitely knows how to write her suspense stories. The only books I do not include here are her historical romance series, which are beyond the scope of the site. The author Iris Johansen was born in 1938 in St Louis Missouri. She moved to Georgia where she currently lives with her family. She only started to write books after her children went to college. The first genre she wrote her initial books in were romances in the 1980s. I loved writing romance because I am a great fan of the happy ending. I started writing suspense because of the challenge of all the twists and in depth character studies that it offered me. I still try to incorporate a love story in all my books. It’s the best of both worlds for me! A decade later, in the early 1990s, Iris Johansen switched to writing to historical suspense romances, however, in 1996 she once again changed the genre she crafted her books in and started to write romantic suspense thriller novels. The Kendra Michael series is co-authored with her son Roy Johansen, and it currently includes 6 main books and a novella. While the main Iris Johansen Even Duncan series includes all 23 books, some of them have been also classified into other mini-series (like the ‘new’ Eve Duncan 2013 trilogy with Taking Eve, Hunting Eve and Silencing Eve, as well as the Eve, Quinn and Bonnie trilogy published in 2011). However, overall they are all part of what is considered the Eve Duncan series, all the novels having her as a central character. The series is classified as a romantic suspense thriller, which is one of my favorite mystery genres. 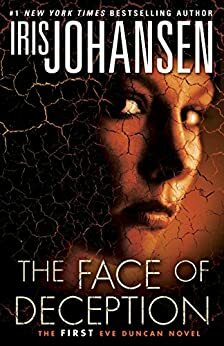 The first Iris Johansen Eve Duncan book was published back in 1998 with the title The Face of Deception, and it was a major hit right away. From the very start, we get to know Eve who, due to her own major loss in life, is trying to help other parents who have lost their children to crimes, by reconstructing children’s faces from skulls. At the same time, throughout the entire book series, we see Eve’s main goal in life: to find the bones of her missing daughter, Bonnie, and bring her home, so she can bury her. I love this series and I can never get enough of Eve and her stories. The author’s latest book is called Mind Game, and it is published October 2017. A new book, Shattered Mirror, will be published in 2018. Mind Game focuses on Jane MacGuire who is back to Scotland to search for Cira’s treasure (more about Scotland is written in Hide Away). While she still dreams of Cira, her family, and the treasure she supposedly buried in Scotland, she is now also plagued by dreams of another young woman, this time the woman being Jane’s contemporary and probably still live. But not for long, unless Jane and Seth Caleb (Jane’s big love) can find her in time. 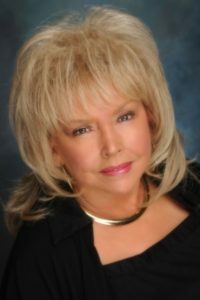 In the romantic thriller genre, Iris Johansen has written three additional series, the Catherine Ling series, the Kendra Michaels series (the second co-authored with her son Roy Johansen) and the Hannah Bryson series, so reading the Eve Duncan series involves picking up the author’s other three major works as well. And while you’re at it, why not also reading the Iris Johansen standalone novel as well? They are just as gripping and suspenseful as the author’s series. Reading the Iris Johansen books in order for her Eve Duncan series is kind of a must because the stories interconnect, and more importantly, we get to see the development of the main character, Eve Duncan. In addition, the related series featuring Catherine Ling and Kendra Michaels should be also read in order since the main characters also appear more than once in the Eve Duncan books. Having read all Iris Johansen books in order that have been published until today, I recommend you pick up all the books in the series starting with The Face of Deception and start reading. There are so many threads in this popular series with the main characters involved that you won’t want to skip even a single book. Besides, the books are highly addictive. Just check out all the comments on this post to see just how much people enjoy reading it. Sure, there are 24 books (including the novella) so far, but it is a very easy series to read and it reads extremely fast. There were days when I’ve read an Eve Duncan book in one afternoon. So yes, I fully recommend that you give the series a serious look and don’t skip even one book because the threads are complicated and older ones pick up every couple of books once again. Very disappointed in the last couple of books in the Eve Duncan series. I can’t be the only one thinking she is jumping the shark with some of these outrageous and unbelievable characters. I know what your saying. The mind reading and able to read animals minds and i agree with you that in most cases that is true but to me there is something about how she writes that still makes me buy her books. The most recent would be the ability to control blood flow in others..that one im kinda still struggling with but crazily enough thats my favorite book qhen Cara comes in the picture. I understand where you are coming from though. You can get all of her books from Amazon. I have been getting them in order as I go. I’m trying to find the book after Trever dies.. I tried to read them in order, but our library didnt have very many. I love this author! I’m addicted to this series! Addicted! I’ve read them all not in order then went back to reread them in order! Seriously can’t put down books! When is the next book to hide away coming out? I have read everyone of eve duncan books and just loved them. Cant til the next one. I’m sure there has to be another in this series. We don’t know if Cira’s Gold is ever found, if Cara”s grandfather gives her up to Eve,. The happy ending was that Eve had her Michael. Then is just ended. I believe our beloved author will keep us in suspense for a while. I’ll be waiting! Love her! Definitely, and I was so happy to hear that the new book is coming out this October with the title Mind Game. I can’t wait to read it! Just read the one after that. Yeah im addicted to her books as far as to read one in a day lol. I can hardly wait for the next book of Eve Duncan, and if she finds Cara!!!!!!!!!! ou can’t stop now. I want ot knowif Evehas that baby that was brought up in the last book. 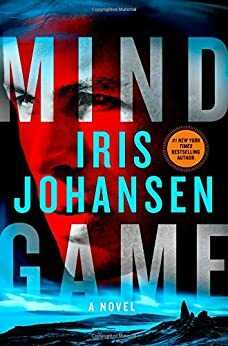 Over the last 22 years of reading the Eve Duncan series,I have discovered Iris Johansen will expand the supporting characters into their own books without the character Eve Duncan. So take all 20 books of Eve as main character.. then side mark all main characters and inquire if Iris had written any more on those characters. I have enjoyed most of those extended book series. It makes as if all those characters talents get respected like Eve’s talents. What will Jane think, will we hear more from Margaret? Please dnt let me down now. Luv luv your books! I thought I’d re Evead all of the Eve Duncan series, but can not recall the one where she is actually found. Have I missed a book ? if so what would it be ? Bonnie is the book your looking for. Am reading Shadow Play now. There is another Eve book scheduled. Also, Iris has written two or three books featuring Kendra Michaels, a formerly blind person who has heightened senses. I love the Eve Duncan series. Am I the only one that suspects that Jane might be Bonnie? I am currently reading Quinn. Now that I am retired I always have an Iris Johnson book being read every day! Just love her books!!! I missed one of the books and do not know the title. It is the one where Eve finds out she has a sister and that sister has been committed. Can anyone help, please? Nancy, the book is Sleep No More. Does Eve ever find Bonnie’s body? Which book. Yes she does! In the 3 books “Eve”, “Quinn”, and “Bonnie”. Bonnie is where it all comes together and they learn where she is and what exactly happened! Don’t want to give spoilers, but it’s heartbreaking! But AMAZING books!! This is one of the best series I have read ever. I got so wrapped up in Eve and Bonnie that I couldn’t put the books down until I finished them. I couldn’t wait for the next one to come out. I still reread them. Every time I find something I missed the first time. I just can’t get enough of them. I also like the Catherine Ling books and can’t wait for the next one to come out. Thank you for getting me through a tough time in my life,. I have really enjoyed these books and also the talking books that I can listen to as well. listening to the talking books. Good Luck in your new series! I found these books because I didnt know what to read, and i was merely browsing my local library. I found a title that seemed intriguing, and i couldnt put it down!!! I found out the series, and now i want to try and read them in order! I too, like Brittany started my reading of the Eve Duncan novels later in the series. I just finished Body Of Lies and am starting Dead Aim. Not reading these books in order is actually no big deal considering the 1st book I read was Stalemate years ago. I just love how you don’t necessarily have to read them all in order to understand them .. Does leave some questions about what character fits in where but that’s easy enough to solve. Hope Iris keeps writing about Eve, Joe and all the others .. She makes you feel like you really know the characters. After I read these 8 books, I’ll be reading the Catherine Ling books. Can’t get enough of Iris Johansen!!!! I thoroughly enjoy reading this series by Iris Johansen. I look forward to more. I love this series from Iris Johanson. I have a hard time putting the book down once I start reading. In a perfect world we would read the Eve Duncan series first book through the last book. I was not that fortunate, but thank you so much for the chronological list of books. Now I will start looking. I love these books. I think I”ve read the complete Eve Duncan series, but haven’t read where she finds Bonnies grave, which book is it. She was digging the grave in Bonnie – I don’t want to give away more spoilers. Iris Johansen is my favorite mystery writer. And I adore her books about Eve and her friends. I have a lot of Iris Johanson boos and look for the ones I don’ t have. One day I will own them all. She is one heck of a writer. I have loved every book I have read. I will admit the Eve Duncan books are my favorite. Iris Johansen is my all time favorite author…lover her books!!!! I just read my first Iris Johansen book, Bonnie. It certainly won’t be my last by this author. The perfect book for a vacation day of reading. I have added the Cathering Ling series at your request. Since there are only 3 books at the moment, rather than starting a new page for them, I have added them right here. Afterall they are a spin-off series from Even Duncan, so they deserve to be listed together. You do not list Your Next Breath as a Catherine Ling book? I have it. It was first published in April 2015. Your Next Breath is listed at the very bottom of the page as #4 in the Catherine Ling book. The first book I read was Quicksand and then Blood Game. Now I am reading Eight Days to Live and the next will be Chasing the Night. Then I will hope to find the next book or find the beginning of the series. If her books are the only ones I’ll ever read, that will be just fine with me. Killer Dreams is about Sophie Dunston, a therapist, and No One To Trust is about Elena Kyler, a trained assassin. Both are romantic suspense novels, but neither is in the Eve Duncan series. In No One To Trust Elena falls in love with Galen whom appeared in more than one Eve Duncan novel as a friend of Logan’s. Their relationship is mentioned in Dead Aim so it comes before that. I’m also trying to read this series in order but am having trouble finding an accurate list of the correct order, too. In Dead Aim, Elena is already married to Galen. She’s not mentioned in 1, 2, 3, 4 on this list. I haven’t read No One To Trust but if she is falling in love with Galen in it, then that book must come immediately before Dead Aim. BTW, Dead Aim was completely missing from the series list that I was following on another website so I read 3 books past that one before I realized that I had missed it. I dislike missing books in a series and learning stuff ahead of time that should be revealed slowly in previous books. If Killer Dreams has any characters from the Eve Duncan series (Eve, Joe, Galen, Logan, Sarah, Jane, Elena), then where does it fall in the series order? I’m Googling to find an accurate series list. I found one labeled as “Eve Duncan & Friends.” It lists Fatal Tide and Firestorm as coming after Dead Aim but before Blind Alley. From the descriptions, they don’t seem to include Eve Duncan but do include characters from previous books. I have read these from the beginning with the “friends” books in order in the series. The order I read them in so far is: 1. The Face of Deception, 2. The Killing Game, 3. The Search, 4. Body of Lies, 5. No One to Trust, 6. Dead Aim, 7. Fatal Tide, 8. Blind Alley, 9. Countdown, 10. Killer Dreams, 11. Stalemate, 12. Pandora’s Daughter, 13. Quicksand, 14. Dark Summer, 15. Blood Game, 16. Eight Days to Live, 17. Chasing the Night, 18. Eve, 19. Quinn, 20. Bonnie, 21. What Doesn’t Kill You (not read), 22. Sleep No More (Not Read), 23. Taking Eve, 24. Hunting Eve, 25. Silencing Eve. I haven’t read the last few books after Silencing Eve yet either but believe that “Live to See Tomorrow” comes after “Silencing Eve” and then Shadow Play, Hide Away and Night and Day. I believe that catches up the list. No One To Trust– is actually not an Eve Duncan book (or Ling, or Michaels) but it does happen in the general Duncan universe. It tells the story of how Sean Galen and his wife meet. It can be read at any time but best after the Eve/Quinn/Bonnie trio. Iris Johansen is one of my all time favorite authors!! I think I have read most of her books!! !